Blair Jones was only 17-years-old when he sustained a spinal cord injury that placed him permanently in a wheelchair. 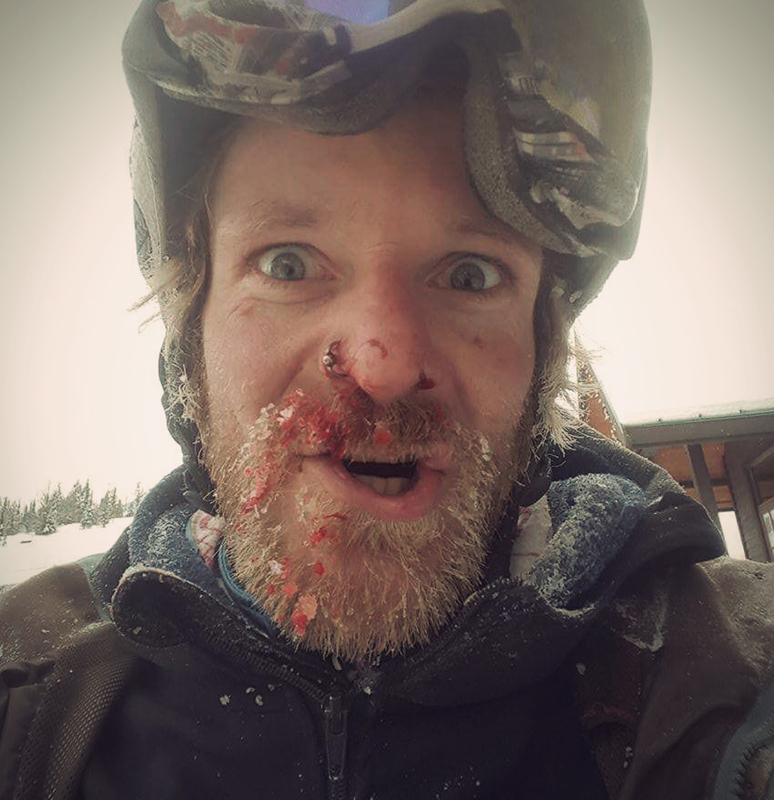 You’d think that such an injury would completely alter a person’s life, but Blair made sure to keep living in accordance with his favourite philosophy; “shred hard, live extreme and most of all, do what makes you happy.” Read below about a little accident he had while being out skiing with friends. I had broken the wrist band on one of my outriggers earlier on in the day and had to ski it out the bottom of kicking Horse Mountain. It was a super hard pack kind of day and we hadn’t had any new snow for a few weeks, so i had decided to ski on one of my race skis. While following behind a friend on his snowboard one of his lines ventured into some softer snow not knowing that it was rather deep, my ski literally disappeared beneath me and sent me tumbling head over heels a few times before I stopped. All was good aside from breaking an out rigger and getting a bloody nose. After I packed my nose with snow to stop the bleeding we carried on down the mountain taking the cat track because of my broken gear situation. I had stuffed the broken outrigger up the sleeve of my jacket to get a little support from it to limp it out but felt rather sketchy. Nearing the base of the hill we were coming up on a flat spot, so speed was our friend to make it across. As I made my way across the flat spot the broken outrigger caught up on some ice chinks ripping if from my grasp & pulling me sideways. This unexpected movement caught me off guard and ended up high siding catching my downhill edge. This ended rather quickly with one good smack of my head on the frozen ground. Feeling a little dazed, I shook it off, had a little laugh then carried on to the base of the ski hill. After we got to the bottom and took our gear off only then did I realize what had happened to my helmet. 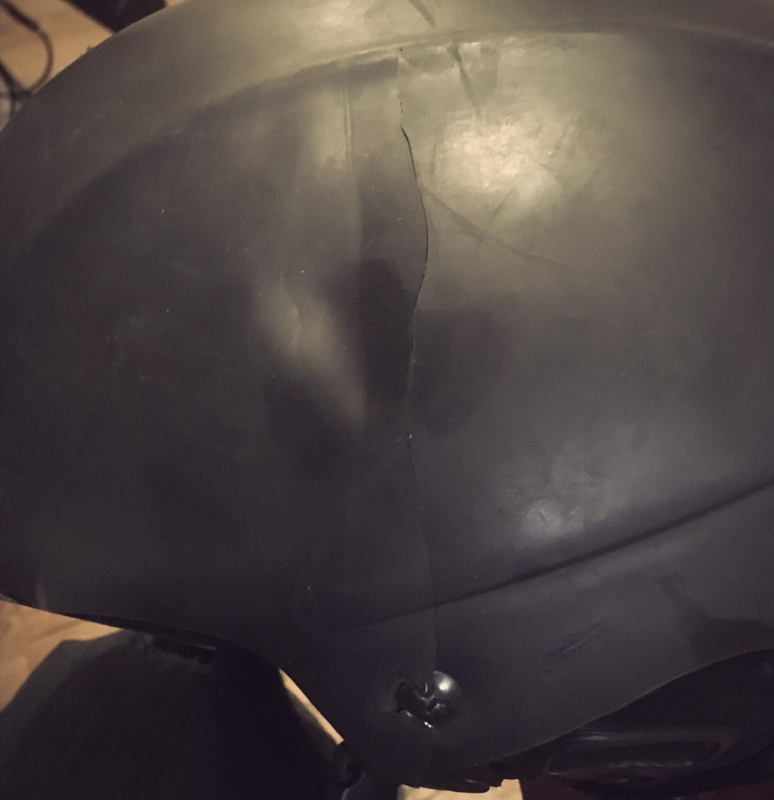 There was a decent sized dent and a long crack about 6-8 inches in length down the left side of the helmet. This surprised me because I did not feel a thing when I hit my head. The helmet really did its job in an outstanding way!!! Thank you, TSG, for building superior strong helmets! Check out all our ski helmets. Read more TSG Saved My Life stories.